8/18/2016 – St. George, Utah – ERA Brokers Consolidated has announced they will now be offering 3D Technology to home sellers in Southern Utah and Mesquite, Nevada. Presented to a group of over 75 local agents at their summer launch event, buyers will not only have access to detailed floor plans and 3D models on new ERA Brokers Consolidated listings, but virtually walk through and see every angle of the home from anywhere in the world mimicking the way they would actually walk through the home. 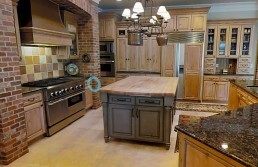 “Today’s homebuyers are very sophisticated with over 89% searching for their next home on the internet. We have integrated real estate’s most sought after 3D experience with our industry leading, proprietary marketing platform, creating and inroad to our 2 million property detail views each year,” said Matt Walter, CTO for ERA Brokers Consolidated. ERA Brokers is the only real estate brokerage in the region with in house photography, graphic design, and technology divisions. 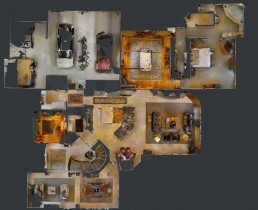 Their graphic design and photography team offer custom professional photography, drone imagery, and this 3D Experience at no additional cost to the agent, home owner, or buyer. The company has made substantial investment in cameras, equipment, and personnel to deliver a higher quality experience. “We believe that better marketing sells more homes, and that is a win for everyone” said Thayne Houston, Principal Broker of ERA Brokers Consolidated. ERA Brokers Consolidated is a brokerage infused with proprietary real estate technology. The organization operates commercial and residential brokerages in Utah, Nevada, and Arizona. With approximately 300 agents and staff, ERA Brokers Consolidated closed over 3,400 transactions worth nearly $1 billion in value in 2015, and it manages more than 1,300 property management units for its clients.